Together again! Dave and I caught up with each other this morning on the outskirts of Burgos before 10 o’clock and walked the rest of the way into the center of the city. Many peregrinos resort to taking public transport in this section because the bulldozer has obliterated many of the original paths into the city. We did walk the whole way, though, and were able to buy a good little Sony camera to replace the broken one so now, once again, we each have our own camera. Hooray! By noon we checked into the Hotel Forum Evolucion. What a difference a day makes! One night was spent in a municipal albergue in a room with four sets of bunkbeds and the next night was spent in a hotel suite, complete with bath sheets, body lotion, hair dryer, comfortable bed, and a tray of wine, nuts, and chocolates. What a treat! 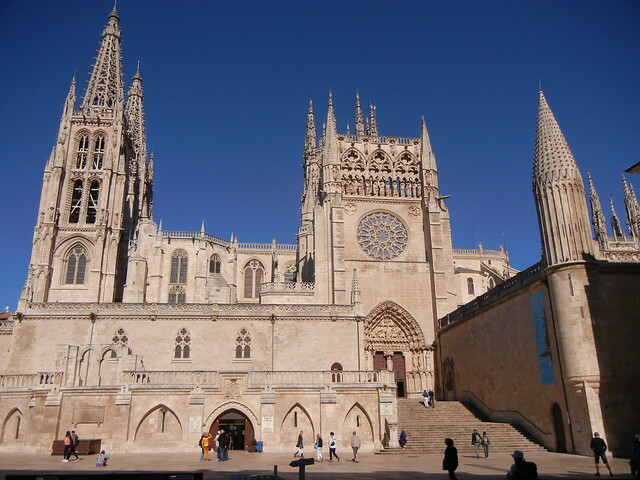 After the relative tranquility of the Camino, city life in Burgos comes as a bit of a shock; however, Burgos is “top-notch” as far as cities go! It is an architectural jewel, full of monuments, wonderful old buildings, pedestrian-only streets and plazas. I felt a little out of place as a peregrino in the midst of all of these stylish city folk. The Catedral de Santa Maria truly is a jaw-dropping masterpiece! 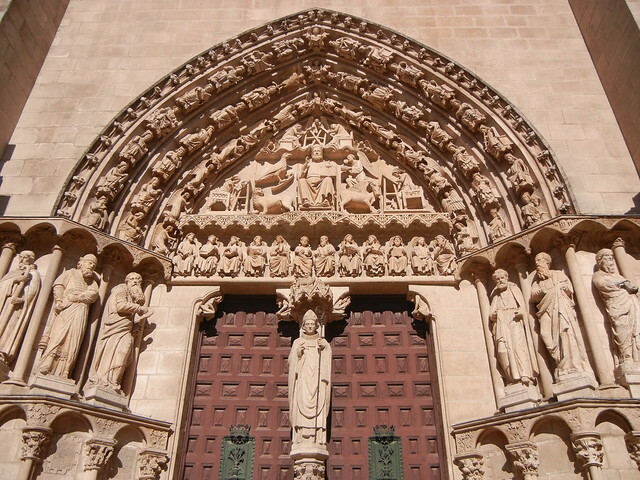 It had been a modest Romanesque church before work began on a grander scale in the 13th century. The twin towers, richly decorated Gothic fantasy surrounded by a sea of similarly intricate spires went up in the 15th century. It was definitely worth a visit. The gold-encrusted extravagance was overwhelming, so much so that I eventually stopped listening to my “pseudo guide” and sped through the last few areas. 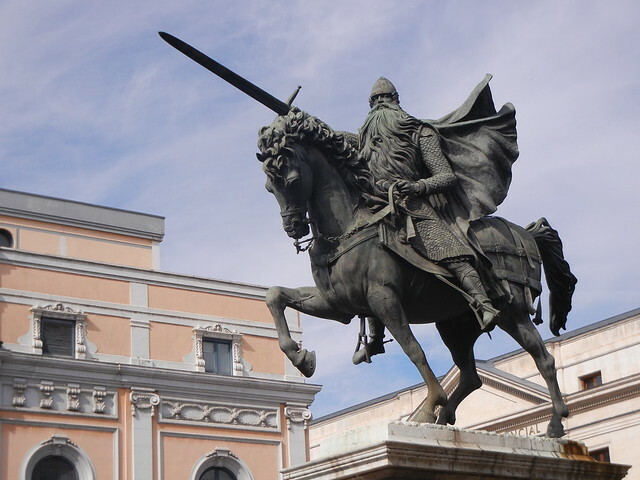 El Cid is a national hero in Spain and a great legendary son of Burgos. 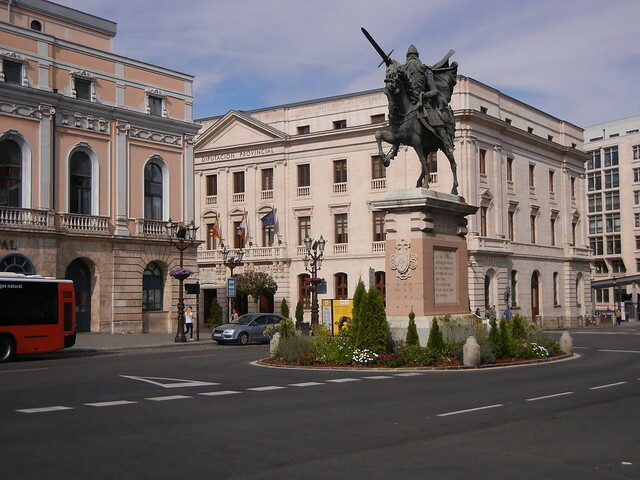 A statue of El Cid on his horse stands in the middle of the road at a main intersection. 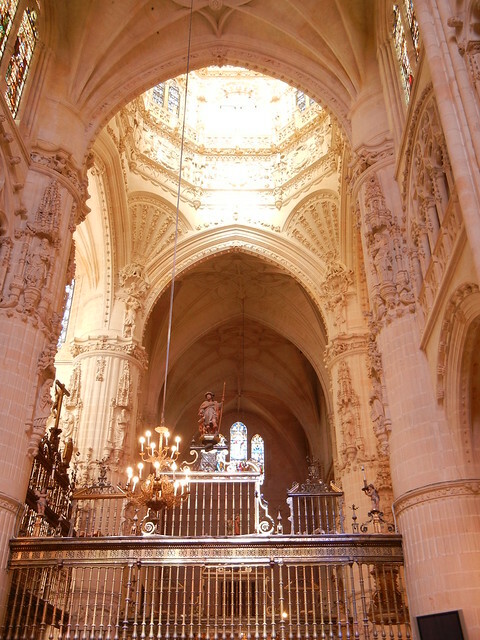 When he died in 1099, his body and that of his trusty horse, Babieca, were eventually re-interred in the monastery of San Pedro de Cardena and then El Cid and his wife were re-re-interred at the heart of the cathedral. We’d had dinner and were walking back to our hotel in the late evening when we noticed how the city had come to life! This is the time family and friends socialize. The beautiful Plaza Mayor and a narrow alleyway filled with little cafes and tapa bars were buzzing – and this was just a Monday night. The same social activity happened in the little town of Orbaneja where I stayed last night. Late into the evening was the time for socializing, and people gathered inside and out of the one and only cafe in town. 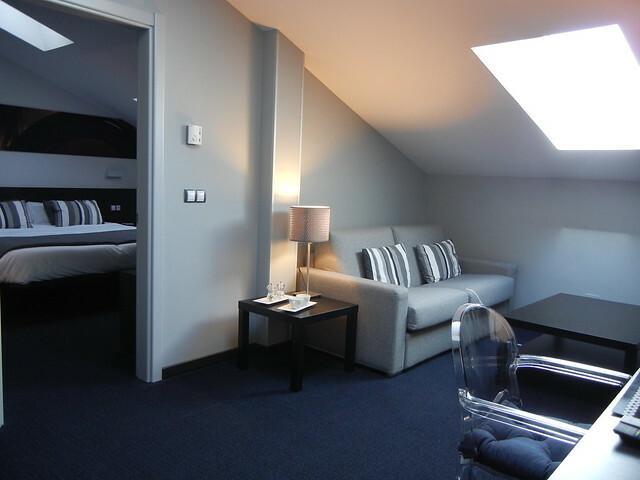 Burgos is a good place to spend an extra night, since there is so much to see. 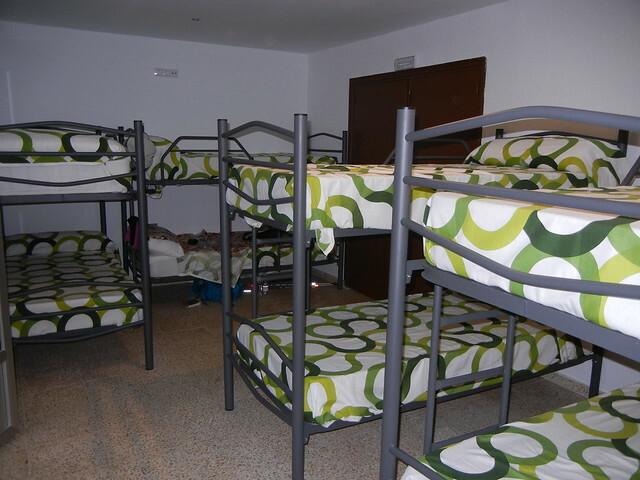 Our Hotel Forum Evolucion is full tomorrow night, so we’ll be moving to the new municipal albergue behind the cathedral for a second night in the city. I DON’T love El Cid’s facial hair. YUCK! What a treat for you to have a night of luxury, hope you get to do it again! I am so enjoying following your adventures and seeing your beautiful photos, thanks for sharing with us all.